A huge loss of life took place during anti-Daesh operations in Iraq's Mosul Thursday, after a missile attack on a school killed dozens of people hiding inside. 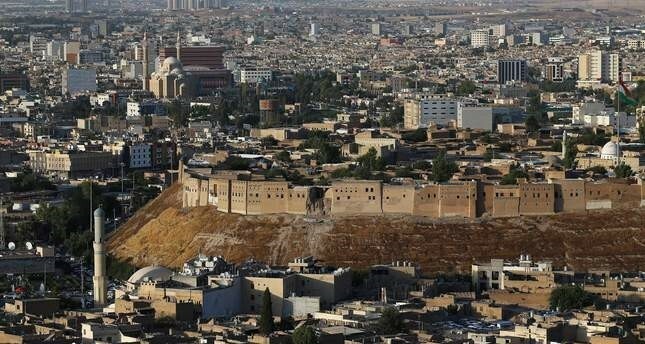 According to information from security sources, 81 people, including 29 women and 18 children, were killed during a missile attack on the El-Vela School in the July 17 zone of Mosul, which is under the control of Daesh terrorists. Because of conflicts between Daesh and anti-terror forces, it has not yet been determined which force was behind the strike on the school. Additionally, Anti-Terror Unit Captain Ali el-Behadili told Anadolu Agency that Habib Abdulcebbar, who was responsible for Daesh's war administration and was behind the missile attack on the En-Neccar neighborhood, had been killed. After 100 days of combat, Iraqi forces recaptured eastern Mosul at the end of January, however the battle is ongoing in the west of the city. There are hundreds of thousands of people who remain trapped inside Mosul neighborhoods still under Daesh control. According to a UN statement released this week, some 419,000 people have been forced to flee western Mosul alone since the fighting began.